Mitt Romney suggested during a Republican presidential debate Monday night that he has always personally opposed abortion rights. Asked to show he wouldn't change positions in the future, Romney responded: "You know, the issue where I change my mind, which obviously draws a lot of attention was that when I was running for governor, I said I would leave the law in place as it related to abortion. And I thought I could go in that narrow path between my personal belief and letting government stay out of the issue." Romney's comment is a little bit difficult to parse. But he seems to be drawing a distinction between his supposed personal opposition to abortion rights and his role as a lawmaker, which involved "letting government stay out of the issue" -- that is, giving individuals the choice over whether to have abortions. Yet in 1994, Romney was adamant that he personally supported abortion rights, as the video at left makes clear. "I believe that abortion should be safe and legal in this country; I have since the time that my mom took that position when she ran in 1970 as a U.S. Senate candidate," he said then. "I believe that since Roe v. Wade has been the law for 20 years, that we should sustain and support it." At the time, Romney explained his support for abortion rights by pointing to a personal experience. "I have my own beliefs, and those beliefs are very dear to me," he said. "One of them is that I do not impose my beliefs on other people. Many, many years ago, I had a dear, close family relative that was very close to me who passed away from an illegal abortion. It is since that time that my mother and my family have been committed to the belief that we can believe as we want, but we will not force our beliefs on others on that matter. And you will not see me wavering on that." During the debate, Romney also said that he eventually "penned an op-ed in the Boston Globe and said I'm pro-life, described my view and served as a pro-life governor." 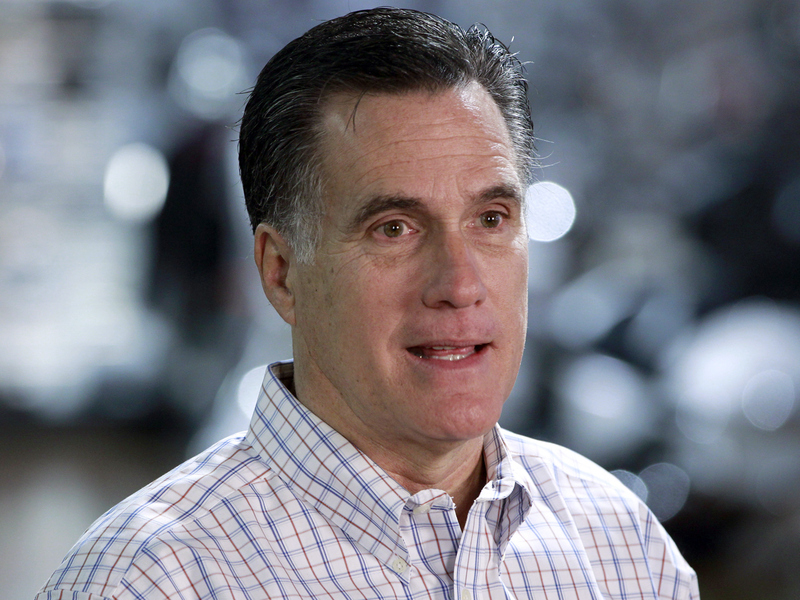 If Romney was indeed "a pro-life governor," as he said, he broke a campaign promise. In a 2002 debate during his successful gubernatorial run, Romney said, "I will preserve and protect a woman's right to choose, and am devoted and dedicated to honoring my word in that regard." He also said in that debate that he rejects the label "pro-life." Asked about Romney's comments in the spin room after Monday's debate, Romney Senior Adivisor Eric Fehrnstrom said this: "The governor explained that when he ran for governor in 2002 that he was personally pro-life, but he said that he would observe a moratorium, if you will, on changes to the abortion laws of the commonwealth. He wouldn't add to them, but he wouldn't subtract from them either. And that's a commitment he kept all 4 years of his governorship. it just so happened all of the abortion related legislation that our 85 percent democrat legislature was producing was pro-choice legislation, such as the embryonic cloning bill, emergency contraception, so the governor was in a position to veto those, and still keep his promise to voters." With reporting by CBS News/National Journal off-air reporter Sarah Boxer.